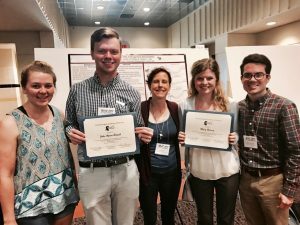 Congrats to Mary Harvey and John Aaron Howell!! 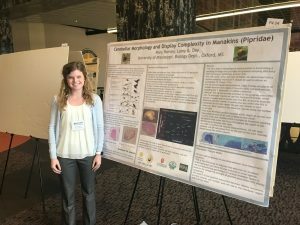 Congratulations to undergraduate neuroscience minor, Mary Harvey, for winning 1st place for her poster presentation at the Mississippi Academy of Sciences, in the Ecology and Evolutionary Biology Division. Congratulations to Mary Harvey and John Arron Howell who were selected for presentation of their posters to the Millsaps-HHMI Undergraduate Symposium. This symposium is for only the top 20% of abstracts submitted to MAS. Also pictured are Katelyn Duda, Blake McClure and Dr. Lainy Day, neuroscience minor director.